The duties of a California probate referee differ slightly from probate referees to the rest of the country. Elsewhere, the referee is granted the authority to perform duties similar to that of a probate judge, such as administering oaths or taking petitions, also the California probate referee is appointed strictly to appraise the value of property in a California probate estate. Appointments cannot last more than four years. Furthermore, most California probate judges assign probate referees on a rotating basis, matching each case with the next referee on their county’s list. The California probate referee appraises the property of an estate in cases where probate is necessary, as well as for trustees in the trust administration process. The referee gathers information about the estate from the executor, administrator, or trustee, oftentimes through their legal representation. Probate court requires that valued inventories of the decedent’s entire estate be turn in within four months of the case. A California probate referee does not have authorization to appraise cash or cash-equivalent assets. 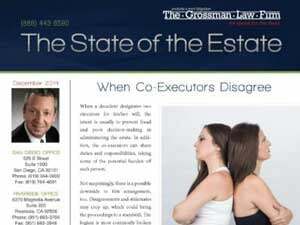 Are you an executor or administrator dealing with an estate that might need to go through the probate process? 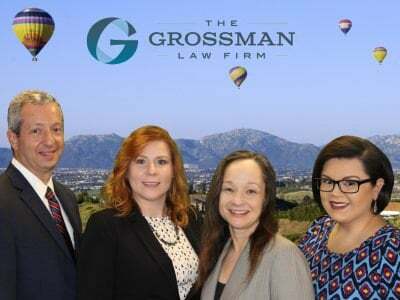 The California probate lawyers at The Grossman Law Firm offer San Diego probate, trust administration, will contests, and trust litigation services. Make an appointment for a free and confidential 30-minute consultation with one of our attorneys today. Call toll-free at 888-443-6590. Get in touch with us online through the quick contact form above. 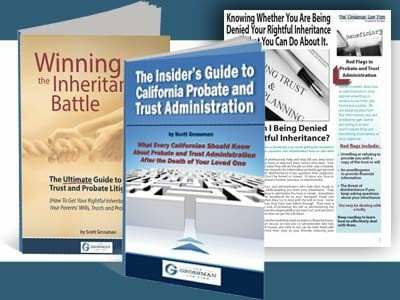 Additionally, be sure to request your copies of Scott Grossman’s FREE book and DVD Probate a Will or Administer a Trust after the Death of a Loved One.